If Verizon Wireless is truly the winner of the FCC’s 700 MHz spectrum auction, as many industry experts now believe, the No. 2 U.S. wireless carrier must live up to its promises. Promise: On Dec. 4, Verizon said it would support the Google-led Open Handset Alliance. By doing so, Verizon, a notoriously protective carrier known for its iron-fisted rule over the devices and software applications running on its network, said it would support the open network initiative. Promise: At the same time, Verizon said it would support the Google-powered open-source mobile operating system Android. By doing so, Verizon said it was willing to allow phones from any manufacturer — even those using the Android platform — to run on its network as long as they meet Verizon quality specifications. Promise (and one it can’t worm out of): If Verizon does win the C block in the 700 MHz spectrum auction, it must — as a stipulation set forth in pre-auction rules — open the new network to any phone running any software. And maybe this is the best for everybody — carriers, manufacturers, third-party developers, and consumers in the U.S. If Verizon lives up to its promises. 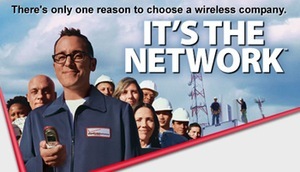 Verizon, the “Can You Hear Me Now?” carrier, certainly knows how to build a nationwide wireless network. It has the experience, know how, resources, man power, and desire to do so as it seeks to surpass AT&T as the country’s No. 1 carrier. Verizon’s main competitor for the spectrum, believed to be Google (the auction bidding is anonymous), has never built a nationwide wireless network and does not have the experience, know how, or man power to do so without a capital intensive ramp-up, although it may have the financial resources to do so. If Verizon wins, it and Google both win. Verizon has more spectrum to compete with AT&T in building the next-generation wireless network. Google wins because it is not saddled with the capital-intensive burden of building that network (estimated to be at least $5 billion a year for many years), or working with a partner or partners to have it built. Google has what it sought much of last year: a promise from the FCC that the winner of the spectrum will open up its network to any phone, any application, from any manufacturer. Google would be free to negotiate with all the carriers — Verizon, Sprint Nextel, and T-Mobile all support the OHA, and AT&T says it’s always been open — to bring Google-powered phones to their networks. One can bet these phones will feature Google mobile applications, search, and advertising, the core of its Internet empire. Now we, as consumers, must hope that Verizon will live up to its promises and that change and innovation will come to the stale U.S. wireless industry. We don’t need another 10 to 20 years of the same old, same old Verizon vs. AT&T rivalry.